Chevrolet Cruze sales decreased in the United States and increased in Canada during June 2017. Chevrolet Cruze deliveries in the United States totaled 12,828 units in June 2017, a decrease of 31.3 percent compared to 18,666 units sold in June 2016. The results include an increase in retail sales of 3 percent. In the first six months of 2017, sales of the compact car family increased 21.3 percent to 105,188 units. In Canada, the Cruze recorded 2,390 deliveries in June 2017, an increase of 25.6 percent compared to June 2016. In the first six months of the year, Cruze sales increased 36 percent to 15,464 units in Canada. 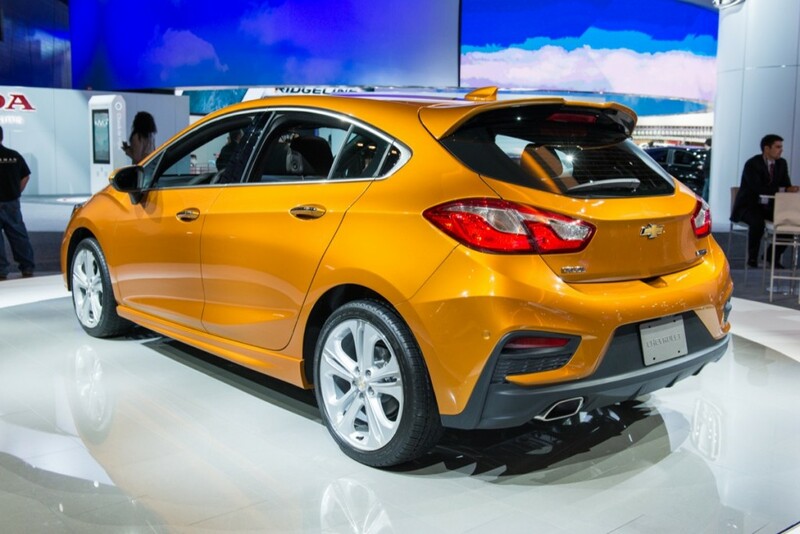 As we expected, it is now apparent that GM was pushing the Cruze in fleet sales. This explains why the model has been posting impressive sales gains in the first several months of 2017, during a time in which the market favors crossovers at the expense of sedan. Even so, the Cruze posted a 3 percent gain in retail sales — which is highly impressive in the current market environment. Even so, June’s volume decrease now makes it obvious why Cruze production is being cut at the GM Lordstown factory, where the Cruze sedan is assembled. The plant will see three weeks of downtime in July, up from a previously-planned two weeks. Even so, GM has cancelled layoffs at the plant, which it was planning to commence this summer. The Cruze hatchback is assembled by GM Mexico at the GM Ramos Arizpe factory, and its production appears to not be impacted. Chevrolet completely overhauled the Cruze sedan for the 2016 model year, marking the second generation of the nameplate. For the subsequent 2017 model year, Chevy gave the Cruze sedan several changes and updates and also launched the five-door Cruze hatch, which better positions the vehicle family against segment rivals from Ford, Hyundai, Kia, and Honda. The 2018 model year saw the Cruze family gain a diesel model for the hatchback along with a few other minor changes. Next story Will Estranged Dodge Viper Customers Flock To Corvette? Just bought the ls trim last Friday. Nice little car I must say. Drives like a go kart, less power but still fun in a way. And I hit 50 mpg at times. Its a very simple but still very nice car. I drove a new Honda civic a few months back as a rental and I personally think the cruze is just better.